Gorgeous sterling silver 6mm diameter shambala bead friendship bracelet with heart toggle fastening. 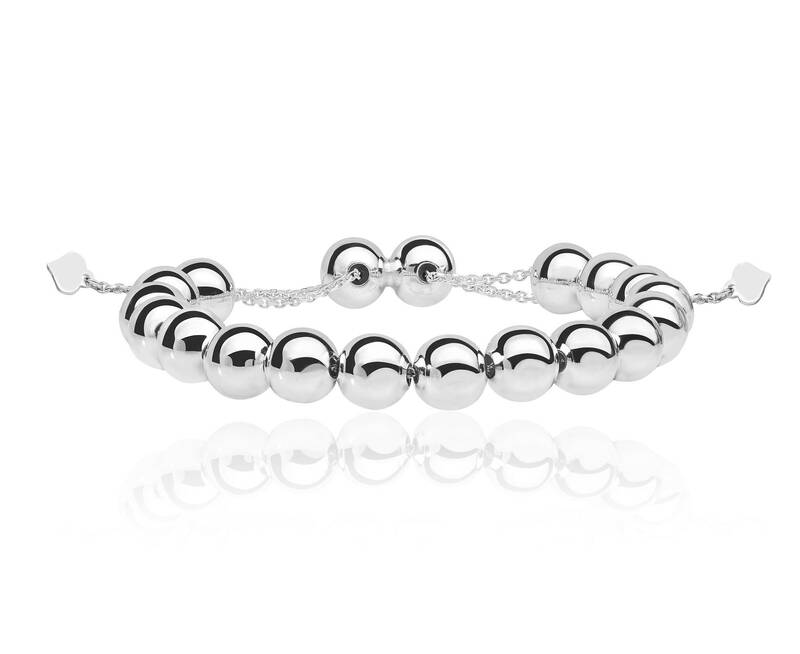 Bracelet measures 7"/17.8cm long, 6mm width with toggle fastening and silver beads. Crafted in hallmarked 925 sterling silver.